Are You A Friend of Lough Key Forest? Lough Key Forest Park is an amazing treasure trove of native trees, plants and flowers as well as mature exotic imported ones. ... and lots of playful and resort like amenities. ... but what about actually getting to know the Forest? 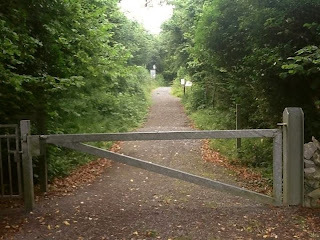 Why is the rest of the Lough Key Forest becoming seemingly uncared for? Local enthusiastic freelance journalist Sean O'Dowd of Boyle does an incredible amount of work attending events and informing us of events and happenings around Boyle. He is also an amazing photographic journalist of all this too. Sean also has a passion for local Lough Key Forest Park where he visits often and tells us about it, what's happening then and posts wonderful flora and fauna pics on the way too. I've give some links to Sean's work at the end. On Sean's Facebook page he has recently made a comment about the state of the Bog Gardens Walk. I have noticed the Fairy Ring once signposted with a lovely path to it has been blocked off and the path has gone. There used to be a lovely map of Nature Walks around the park. It seems that it is published no more, and some of the paths of those walks are no longer there. ... but it is getting run down. Part of the beautiful Historical Trail runs through Lough Key Forest, but it is the section that is the worst signposted and mapped out. Not bad signage here, but last time I looked this sign seemed to have gone. There is irritation with the 4 euros parking charge, ... unless a visitor spends at least €20 on the Resort's amenities. There is also annual pass costing €35. The free parking areas are now blocked off with bollards and No Parking signs. The picnic tables are situated in the least scenic parts of the Forest and Park. For Coillte, Ireland's Forest Agency, Lough Key Forest Park is their first venture into commercial leisure resort tourism. The intent is quite circus and fairground like profitability. Its about having ways to create the most profit from the least costs and expense. 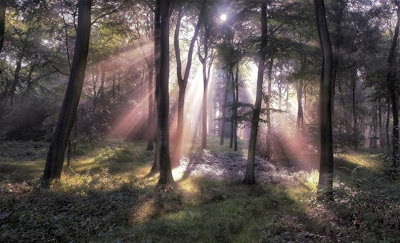 The traditional leisure ways of enjoying the forest such as meditative and restoring walks, jogging, dog walking, arts and sharing a picnic are not identified as money makers ... so they are ignored. This means to have Lough Key Forest for these purposes we need to plan to do all of this for ourselves. There are some positive things going on though. I asked about Boyle Railway Station but I was told that it risks displacement of local taxi services. more destinations in the area if there is support. The fare is € 1 each way for adults and 50c for children. 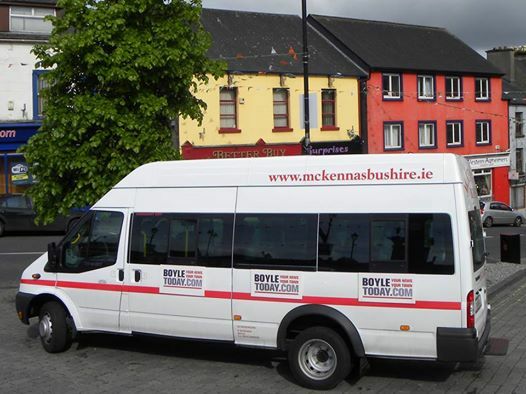 At present this service will not operate on Sundays so Bards In The Woods at Lough Key Forest will be on other days, unless a Sunday bus service is introduced. Funding of €400,000 has been approved for a Boyle-Lough Key Greenway project in Co Roscommon that will link the town of Boyle with Lough Key Forest Park. I do not have further details of this as they have not been announced yet. If this is true then cycling opportunities will be increased, for one. I was visited by these people who told us about some of their plans to to bring Tipi Glamping to Lough Key Forest and link up with the various adventure activities in and around the Forest. I do not have much more info on this yet and hope to soon. As support for our events and support for visiting Public Forests of Ireland is really awful this year, yet is on the increase at Lough Key Forest, I intend to switch most Bards In The Woods with Picnics activities with picnics to Lough Key Forest in the near future. Access and lack of public transport to forests has been the biggest objection to our events, along with a reluctance to car pool. Now that the new bus service makes this easy for people from Ballymote, Carrick On Shannon, Collooney, Dromod, Sligo, Longford and further down the line to Dublin to join us would this tempt you to join us at Lough Key Forest? to pick people up to join us. ... and at our other events, of course.